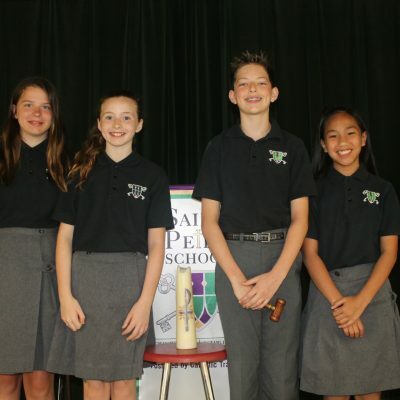 St. Peter Student Council is a program in which students in grades 3-8 are given the opportunity to become leaders of the school. Led by the 7th and 8th grade officers, the classroom representatives learn to develop many important qualities including leadership, responsibility, and community service. 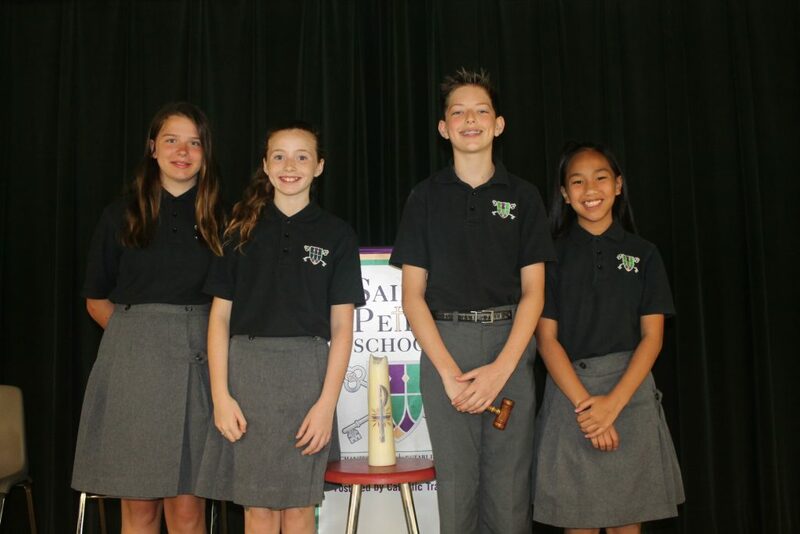 The 5th-7th grade students are introduced to the election process by campaigning, writing speeches and electing new officers for the following school year. Each school year brings a new group of students who are excited to express the student body’s ideas and concerns to the teachers and administration. Student Council is an opportunity for the students to have their voices heard in their school.